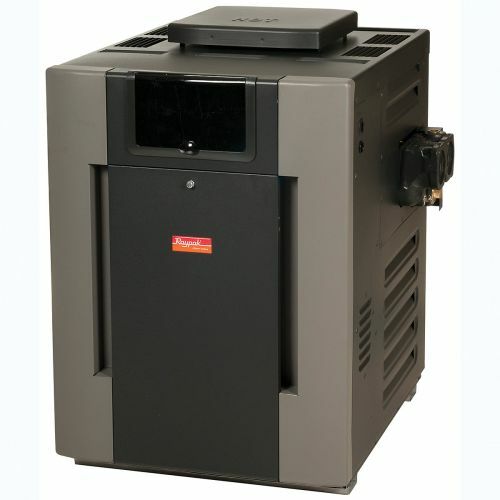 Raypak Pool Heater - 266K Natural Gas - FREE SHIPPING! Raypak Electronic Ignition Pool Heater - 266K Natural Gas - Free Shipping! Raypak Digital Heaters Raypak Digital Digital control with liquid crystal display (LCD) for temperature selection and heater settings. Smart microprocessor controls diagnostic read-out and continuously monitors operating status. Capron resin headers prevent rust stains from harming pool surface. Guaranteed high wind reliability Plumb directly from the 2" PVC threaded union. Small footprint. Natural Gas or Propane.